Religion has a message. It needs to be heard, shared and passed on. It likes to be practiced and followed in large numbers. There are dire consequences for not accepting its edicts and making them mantra for ones life. Otherwise, calamities may befall the sinner. There is always reward at the end of the journey for the faithful and harsh punishments for those who go astray. There is charity to be distributed among the less fortunate and Holy Kings to conquer new continents in hope of spreading the message and converting even more converts to the new religion. The game’s edicts sadly do none of these. 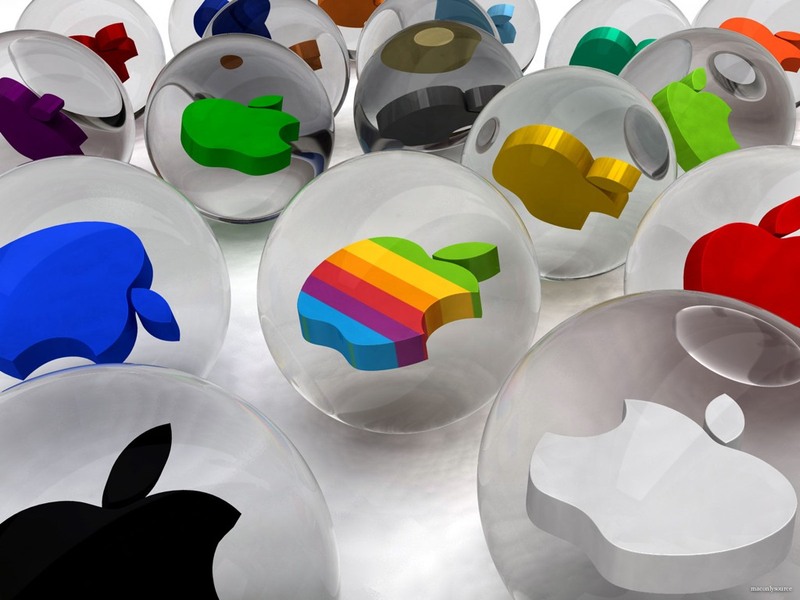 In today’s highly competitive market, Apple is still one of the most innovative companies in the world at this time. Considering that they are over 35 years old, their creativity should be waning like that of Yahoo, Microsoft, HP, Dell among others. Instead it is never been stronger. So what new products can come out of their product line based on what they have in store for us. Based on the patents filed, product maturity and development, the following are most likely to be revealed in the next 12 months. Would it not be great to use my Nano touch to make calls, and run some apps. Yes, the screen interface is too tiny but hey, the next version of Siri could simply make that voice operated. It would be much easier for most of us to wear our phone on our wrist than carry one in our pocket. For example, when we go running/jogging in the morning. Sort of like the KITT watch from Knight Rider. You speak into it rather than type/touch the screen. Siri is a problem today. It is not mature enough. But a revamped version is expected with iOS 6 later this year. Maybe that or a later version will bring us closer to reality of launching such a phone. The only other downside will be battery life. Can a device this small last a whole day on one charge? I wrote my first line of code on an apple II machine in BASIC when I was probably 13. Surely, there were IBM PCs around, but they looked clunkier than my Apple. I learned my first desktop publishing lessons on a Macintosh Classic connected to a laser printer on an apple talk network (the crude 1980s networking introduced by Apple). Wow! They had it all even then. I moved on from Apple to Commodores about the time Steve left Apple to pursue other adventures. But by the time I was in college, I had found my new love. The NeXT computers with their ingenious NeXTStep Operating Systems. Yes, Steve’s second company was Next Computers right after he left Apple. So for the next four years (early 1990s) I wrote my papers on it, learned how to program in languages like C, Objective C, Perl, used this platform to build my first websites and ofcourse surfed the web (yes before Netscape era), and most importantly learned the Unix operating system the core of my career ever since. The hardware and the accompanying software were so advanced in their times that even today, they can hold their own against the best of Microsoft Windows. The little black boxes let us use Graphical WordPerfect to finish our documents in visually pleasing screen fonts and let us print them on laser printers with a click of a button. While IBM PCs still boasted textual green screen based word processors connected to clunky dot matrix printers that made more noise than did any useful printing. We used to send emails through (even voice mails to other NeXT Step users) to people across the world using its graphical and simple to use email client. It let us read classics including the complete works of Shakespeare and other great books in perfect fonts and styles (probably world’s first Kindle), let me surf the web (before the birth of Netscape or even the tech boom on (an obscure) omni-page browser) and yes, it was all graphical, many years ahead of Windows 95. Did I mention, in my spare time, we used to play beautifully written games on it too. And some of them were networked, so that friends on other computers could join in. Yes, I am talking early 1990s ten years before networked/online games became a craze. Today, all NeXT affectiandos know that Steve bought/merged his NeXT Computers into Apple upon his return in 1997 and then launched the revamped MacOS X, which is essentially the next generation of NeXTStep OS. MacOS X today powers all Apple computers and is one of the most stable Operating Systems out there. Today, I cant think of life without my iPod when I go hiking or my iPad when I need to read the latest classic or just surf the web. And oh, I ditched my PS2 in favor of iPod/iPad games that are so cool and better. 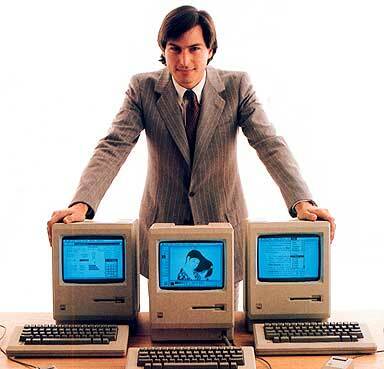 Steve’s innovative creations through the ages have mimicked my love affair with computers. I still remember the goosebumps I used to get when my little BASIC programming codes would run perfectly on an Apple Iic. I still cant believe the ease with which we used to get desktop publishing done in late 1980s on a Macintosh. And I could have never finished college with so much fun had I not had my Next experience. And ofcourse, without iPad where will we be all today. So Steve today, you stepped down from Apple and resigned as CEO, but to us, who have lived through your life with Apple, you will be missed. And we hope that you can still play a critical role as Chairman and Board member in many years to come. Around the turn of this century (21st that is), Apple was getting itself ready to go beyond the highly competitive (and low margin) PC business and into the feverishly controlled and secretive music industry by introducing a tiny cigarette pack size device called an iPod. Driven by 5GB micro hard disk which promised to hold thousands of our favorite songs and could run them for many hours at a stretch was something that we did not even know we wanted. And the industry giants like Sony thought it made no sense and just outright went on an anti-mp3 crusade. For Apple, it was truly a radical departure from its core business of making computer hardware and software. But with Steve Jobs cunning insight, and ability to see what we want before we know we want it, has turned the company into a media giant. What happened since that day is nothing short of a revolution for the electronic industry. Today, iPods are no longer just music players, they are essential accessories in our lives. It is hard to not run into someone who is not listening to a Podcast, a song, or watching a video, playing a game or gesturizing something on their iPods/iPhones. What Apple got right and what Microsoft, Google and Nokia don’t get is that Apple is not trying to get into the music or phone business. No, it’s not into a PDA or gaming market either. It is essentially about being a leader in the distribution, use and viewing of digital media using an electronic device preferably a hand-held like an iPhone. 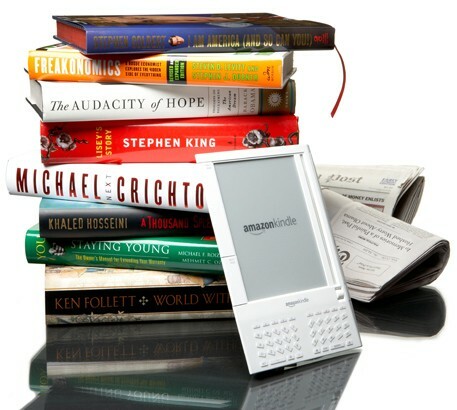 Something that Amazon has been aspiring to do with its Kindle devices for the past many years. Apple with its well and tightly integrated iTunes desktop, store and hand held devices (iPods and iPhones) has created a unique eco-system that is hard to rival or match. Kindle, from Amazon, comes in close with its ability to let users download what they want to read at a touch of a button. However, it still lacks as a complete device in many ways including not letting them run interactive media (like games, videos or even music). It does not support Wifi and still runs on some proprietary mobile data network (making it hard to use outside the USA). And worst of all the display is still black and white. Which is great for reading books but makes a boring display for doing everything else. And oh, it is heavily dependent on tons of buttons as the screen is not yet touch sensitive. It is touted that within a few months Apple will announce an iMac Touch/iPad, a tablet PC with no keyboard or mouse, but just a huge touch screen. In short, a glorified version of iPod Touch that will probably have built in access to a 3G network (along with Wifi) allowing users to do anything and everything digitally. A device that will take on Amazon at a game that it thought it had created and had a complete monopoly over. Users who are already more comfortable dishing out money at iTunes Store will probably use it to buy/read books, watch movies, share photos and do whatever their heart desires online. Apple’s strategy of going after the digital content and dominating that space has truly secured their place for the next decade. They are likely to dominate this market place for many years to come while traditional rivals like Microsoft and Google (with Android) will be left behind wondering what hit them. And for Amazon, it finally has a competitor that has its game plan all worked out against them. The next decade is all about digital content. It will be all online and will be fueled by handheld devices. Apple has already geared itself to that challenge and will likely dominate this segment while its rivals will be once again left wondering what did they do wrong.